"...For the history of art is perishable. The babble of art is eternal." Kundera refers to so many Great Books in the piece that I find myself glancing at my shelf and noticing all that literature up there I've been hoping to get around to. For years. Perhaps it's time to admit I'll never read Cellini from the start and will only ever dip into his life, and then only once every five years. The Proust still sits hopefully at the front, But Pope and Boswell are barely visible under dust. Finnegan's Wake was begun enthusiatically, and may get begun again. There is just too much to read in the world and perhaps we all must be satisfied with knowing our specialized area. I guess mine might be described as the philosophy of art. I have many books relating to my particular enthusiasm which were devoured within days of coming into the house.
" People desire to communicate with one another. In ancient communities they did it orally; in a more complex society they tried to do it by printing. Most of the books which are displayed in a bookstore should be defined as products of vanity presses, even if they are published by a university press. As Landow suggests we are entering a new samizdat era. People can communicate directly without the intermediation of publishing houses. A great many people do not want to publish; they simply want to communicate with each other. The fact that in the future they will do it by E-mail or over the Internet will be a great boon for books and for the culture and the market of the book. Look at a bookstore. There are too many books. I receive too many books every week. 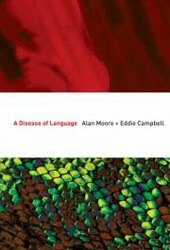 If the computer network succeeds in reducing the quantity of published books, this would be a paramount cultural improvement." "Joel Stein, a columnist for the Los Angeles Times, yearns for the good ol' days. Tongue firmly in cheek (I think!) he says the email (or blog) address published at the foot of his columns is "the pathetic, confused death knell of a once-proud newspaper industry". "Here's what my internet-fearing editors have failed to understand," he writes. "I don't want to talk to you; I want to talk at you." Mick's read the whole thing for me and I scanned it quickly, so you don't need to read it at all. We saved you having to get down off your horse. "A man cleared of murder after he was spotted in the background of outtake footage of TV comedy Curb Your Enthusiasm has been awarded damages of $320,000." All you need to know is that a guy's alibi is that he was in the crowd filmed at a game between the Dodgers and the Atlanta Braves and that the Larry David comedy was being shot at the stadium on the same day. Hayley says " it's like a plot point right outta curb your enthusiasm!" "Pope Benedict XVI has criticized his late predecessor Pope John Paul II's decision to share the stage with American rocker Bob Dylan. The current pontiff, who took over as head of the Roman Catholic Church following John Paul II's death in 2005, believes rock music is the work of Satan and cancelled the annual Christmas pop concert at The Vatican last year." "Heroic sacrifice is the essence of civilisation," claims Miller, "which is in many ways a series of compromises that we make. For example, while growing up, I always hated the phrase 'crime doesn't pay'. Because it was clearly visible that it pays like crazy, and yet that's not really the reason not to do it. The reason is that we have a contract among ourselves not to do certain things, and to do certain other things, because that is what makes society possible." These noble ideas were formed at an early age. Miller was born in Maryland and enjoyed a comfortable, middle-class upbringing in Vermont, his childhood spent running through the woods and visiting the cinema. "This was the era of Ben-Hur and that really captured the country's imagination. I saw Jason and the Argonauts and the Hercules movies and that sort of thing, and then one weekend my parents took my brother and me to the latest, which was The 300 Spartans." An inherent problem with blogging and the internet and the speed at which information is being ingested is that a lot of readers aren't attending to the details. I checked a few of the responses to my post "In thrall to cinematic principle." " My argument essentially was that in thinking only cinematically an artist loses a sense of the picture and what the picture is supposed to do and what it is supposed to be about. When I used to read comics to my son, those Batman Adventures should have been ideal, but I found to my dismay that the 4 year old lad couldn't 'read' the pictures because of the way they were fragmented. There weren't enough complete pictures for him to relate the fragments to. I exempt Templeton's version from that criticism, he knew how to do it properly, but other than that we were all the way back to Gottfredson's Mickey mouse (then coming out from Gladstone) for our reading material." 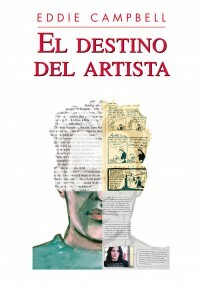 The hypothetical artist takes it as a given that the reader knows what is supposed to be happening. After a few years and a few generations of this, we find that the artist 'speaks' in phrases, syllables, half sentences, which are indecipherable to somebody who is not in on the secret language. Kirby, hypothetically, was the last guy who bothered to show the whole picture. The hypothetical later artist just 'refers' to his example instead of recreating the experience anew for the reader. Thus my rule, 'The entire drama of a given situation must be contained within each panel of the sequence of that situation', is a way of reminding the artist that no matter how familiar the 'experience ' may be to himself, the reader may be having it for the first time. I've written about the much maligned thought bubble before. I must say I like the use of it in the Nora Jones video for 'Thinking about you.' An infinite universe of thoughts within thoughts. My pal Brad Weber mentioned Raymond Scott in comments for march 8. There's a great site dedicated to Scott, his 1930s-40s orchestra and and his later pioneering work with electronic instruments with sound files, exhaustive listings of all the animated cartoons that used his music, and a short biographical comic by Justin Green. Is there anything that is not at our fingertips?. In comments yesterday, my pal Liz (we'll phone! ), (married to my old pal Pete Mullins), singer, news cameraperson, and all round sweetie, as well as the model for the singing lady in Batman: The Order of Beasts (left), although I'm sure she didn't realize that at the time I was snapping the photos, but didn't mind it as she got to hang out with Bruce Wayne in print, brought back to mind an old recording act I had forgotten completely: The Nutty Squirrels! 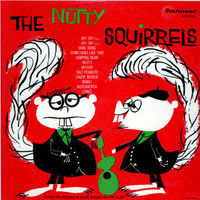 They did fairly modern jazz numbers in the the 'chipmunks' style, with the speeded up voices, but got some top jazz guys to play, such as Cannonball Adderley for a track on the second album, already famous for his part in Miles Davis' immortal Kind Of Blue album. All daft novelty stuff of course, but good for the wee'uns. 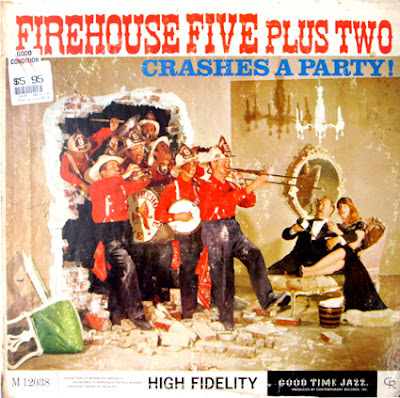 It has furthermore reminded me of one of my favorite jazz albums in my collection, and I guess not too far from the novelty end of the spectrum itself, but on the 'trad' side of the tracks, Let's crash a party by The Firehouse Five, (plus two) 1960. 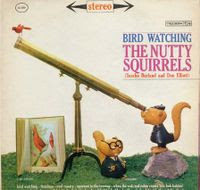 The band was led by Ward Kimball and everybody in it was an artist at Disney studios, playing in their spare time. They got all their wives and pals in to make party noises in between the tracks, calling requests to the band and shouting for cocktails and stuff like that, and 'somebody turn that record over!' at the end of side one, and at the end of two the police arrive and they all head off to a party at somebody else's house. A wave of ineffable joy always comes over me as the first track starts up. 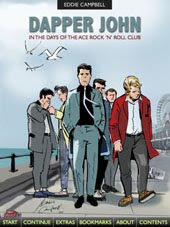 'The band recorded at least thirteen LP albums (I'm quoting the wikipedia entry), starting in 1955. The last album, "Live at Earthquake McGoon's" was recorded in 1970 in San Francisco.' How can ya not love 'em? But before I go, I'm quoting Kimball's contribution to the sleeve notes: "Party people we all are. Parties put people here. Beats, bankers and figs dig parties. FH5+2 blows about 104 parties per annum: Public parties, private parties, Elks' parties, firemen's parties, country club parties, strip parties, booze parties. Going-in parties and coming-out parties. When we blow we see: Drunks, squares, math teachers, matrons, motorcyclists, morons, Miltowns, bartenders and hypes. About 11 pm shoes and coats come off and we see them grab our afterbeat like it was their mother. We sweat and they sweat. Everybody sweats. Everybody yells, everybody screams, and then they want the "Saints." We kindly comply and when they're on the ropes we slip 'em "Old Tige" (Tiger Rag) and everybody dies. We put the tambourines and hats away and go home and our shirts smell like burned veal cutlets." The Music to which Campbell is listening... and who's looking after it? Campbell is not suggesting you actually listen to any of this yourself. He long ago recognized that his musical tastes are held by him and him alone. He is offering this, I suppose, as statistical information regarding the Fate of the Artist's work. Music. Who is looking after it? 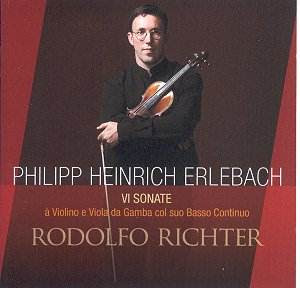 I'm listening to a cd of sonatas by Philip Heinrich Erlebach (1657-1714). There's a big seven minute ciaconne at the end that convinces me I am a noble fellow, but forget about that. The printed notes tell me that of his 1000 or so attested original works, most were destroyed in a fire at the court library of Rudolstadt in 1735. We're left with approximately seventy pieces. Who was in charge, I asks ya!? Also to hand is an older cd I just picked up second hand. 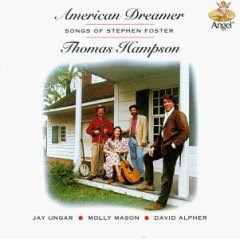 It's a collection of the songs of Stephen Foster, made simply and beautifully by Thomas Hampson the tenor and Jay Ungar, the violinist whose main claim to fame was the theme tune of the Ken Burns series on the American Civil War. I have the Dover book of reproductions of the sheet music of 40 Foster songs that I used to play a lot on my fiddle. Jeanie with the Light Brown Hair never fails to melt me on the rising figure at 'happy as the daisies', though I am sure the daisies are not so much happy as symbolically wearing their author's good cheer. I always figured that those forty songs were more or less the total of what we have of America's apparent first professional song writer (while logic suggested there ought to be more), but there's a fellow here named Benjamin Robert Tubb who has catalogued approximately 217 items, complete with sound files. On his impressive site he has loads of other stuff by America's nineteenth century tunesmiths. 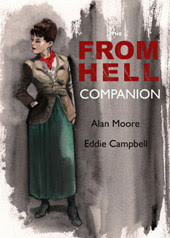 He appears to have arrived at the subject by the same route as Campbell, starting with that Dover book. It's good to know that somebody is minding the store. This last one I thought had to be a hoax when I came across it early last year. 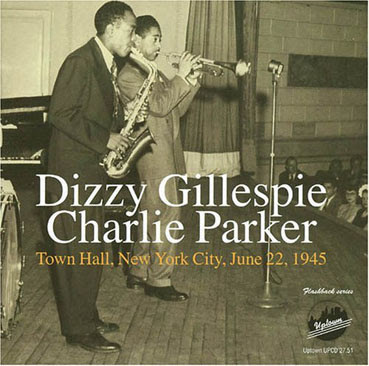 Charlie Parker (last mentioned by me here) and Dizzy Gillespie playing the Town Hall, New York City on june 22 1945 in a legendary concert that nobody knew was even recorded let alone still exists in any form. These two bebop jazz giants played all their earliest innovations during a couple of years when there was a recording strike by the musicians union, so what we have of it is precious to say the least, and much of it is shoddily recorded, not surprising given the equipment that could have been transportable in those days. Now add to that a 40 minute concert in remarkable condition and completeness, and even historical precedecnce: there's a tightly knit and coolly delivered version of A Night in Tunisia here that predates the individual recordings of both Parker and Gillespie of the following year. The notes explain the circuitous route by which the fragile old acetates came to be very recently discovered: "...it was at one of these shows that I met the "picker". A "picker" is a dealer who is constantly searching for the next rarity, looking to quickly turn his finds into cash. 'I just found an acetate of Charlie Parker. I can play it for you over the phone...' He was reluctant to reveal his sources, but did agree to go back to where he had purchased the acetate to see if there were any others. Two days later I received a fax that he had found another six discs! Each disc ended abruptly without an overlap, and I mistakenly interpreted this space in the music to be equal to the time it took to turn the disc over to record the other side. it was only last year that it was determined that this concert had been recorded on two side-by side disc cutters- one taking over where the other left off (without the usual overlap) and that there were no spaces, and there was nothing missing!" Elsewhere in the voluminous notes the event of the discovery is compared, as these things always are, to the uncovering of the tomb of some guy named Tutankhamen, apparently in 1922. Survival is somewhat random, what?. On the autonomy of art. A comment that came in a few days back has sent me off reading a bunch of essays by the great twentieth century art critic Clement Greenberg. I’m quite fond of the old geezer and today I will offer a few words on matters of aesthetic interest as an antidote to all the foolish blather of the last week about the Evil Gecko Emperor. Things appear to have gone quiet on the battle front anyway. It started with my post of 21 feb In thrall to the cinematic principle. 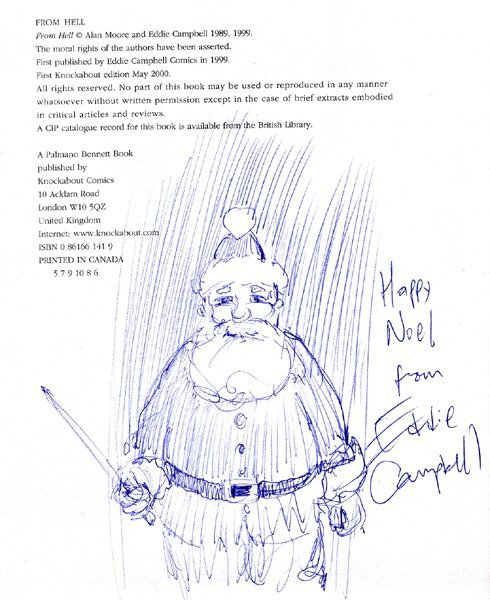 Rod McKie remarked upon it on the Comics Journal board where he presumed I was demanding autonomy for comics as an art. 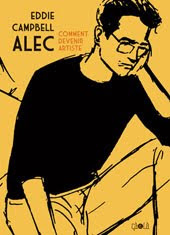 Rod wrote:" It seems like such an attempt to make comic art autonomous... that it seeks to exclude the involvement of the reader... I personally think autonomy is overrated and thanks to Clement Greenberg's later drunken, rambling, confessions that he championed Clive Bell's ideas simply 'for copy', I think it is somewhat discredited." I had my say on 22 feb in BIG HANDS & little geezers. Rod saw that and came back in the comments box on 3 march in a way that demands a decent reply. so that the painterly qualities of a painting, are all that matters and any discussion of the work should focus only on its self-referential qualities. The reason the foregrounding of technique disquiets me is that Clement Greenberg used Bell's arguments to champion Abstract Expressionism and he was undoubtedly a tool of the CIA's promotion of Abstract Expressionism, during the Cold War. It was not, as he was later to admit, something he believed in. He later excused himself by saying that nobody should have taken him seriously and that he was 'only making copy'. But as a highly influential art critic he destroyed a lot of careers. Firstly, I like to think that drunken ramblings are inadmissible as evidence. In the same way that Voltaire's supposed recanting of his atheism on his deathbed must be inadmissible. It’s one of those things that if it didn’t happen somebody would have said that it did anyway. For the sake of argument let’s say that he wrote it in an essay. In that case it would simply be a new text in opposition to his older ones. Once an idea has gone out into the world, gotten mixed up with other stuff and established its own sphere of influence, you can’t just delete it by saying you’ve changed your mind. I detect in your words a tendency to join the legion of 'Clembashers’ "THOSE WHO ATTACK Greenberg broadly first get him wrong and then flog their own misunderstanding". (Darby Bannard). The reach and depth of his work can be measured by reading three compilations of his talks and/or writings: Art and Culture (1961), Clement Greenberg: the Collected Essays and Criticism (1986-93) and Homemade Esthetics (1999). Any serious attempt at a just estimation of his place in the history of art and art criticism will need to focus on these books." (Peter Harris). Perhaps we are nostalgic for a time when it was okay to believe in absolutes. Somebody else’s ideas could be seen as objects taking up all the space, that need to be pushed aside so we can get ours in. I personally have no problem with embracing a dozen mutually exclusive ideas in one lunch time. Like my rules for instance. If somebody else has a bunch of rules that helps them get their work done then they’re good rules. They are abstractions. There is no reason for somebody to elimimate one of mine in order to have a different idea of their own. "What I'm getting at, in a way I hope isn't so roundabout, is the fact that art and the history of art can be approached and discussed illuminatingly all by themselves, as though taking place in an area of experience that's autonomous, a place that doesn't have to be connected with any other area of experience in order to have sense made of it." I confess I can’t completely figure out your point of view, since I encounter a few old school reactionaries in my links hither and yon, but you do use that very postmodern phrase in your last line 'self-referential signifiers'. The site I've been linking to above has quite a collection of Greenberg's writings. There's an essay on postmodernism in which Clem’s befuddlement and discomfort is plain to see. He can’t quite figure out how it can be the next thing. He doesn’t realize yet that it means the end of ‘next things’, and of all the other notions by which poor old Clem set his clock, such as the idea of the motor of art history being driven by individual geniuses passing a baton one to the next; the notion that art is an ongoing narrative. "Still, no work reduces to a single context. When you stand before Pollock’s “Lavender Mist,” you do not think about “artistic free enterprise” or the C.I.A. or the cultural politics of Partisan Review. You think about how a painter could have taken all he had experienced across a creative threshold that no one had crossed before, and produced this particular thing. The painting’s importance for a certain strand of Cold War cultural politics is part of the story of how it got to us, a generation or more later, and that history is worth knowing, because bits and pieces of it—the existentialist encounter, the “American” indifference to painterly decorum—still cling to it. After all, other ways of understanding Abstract Expressionist paintings were once possible, for images are highly malleable (one of the reasons they make poor instruments for propaganda). It might easily have been argued that Abstract Expressionist works are hostile to the spirit of liberal democracy, that they reflect a totalitarian aesthetics—monumental, peremptory constructions that make us feel our insignificance." IN The Fate of the Artist I opine that the scholarship of an art becomes as much a part of art history as the art it interprets. One of my favorite books is Adolf Furtwangler's colossal 1891(?) tome in which he recreates the history of ancient Greek Sculpture, bringing the personalities of the artists vividly back to life through an analysis of the assorted rubble that we have at our disposal, joining this to that with extraordinary confidence, using speculative attributions as the basis for other speculative attributions. Virtually all of it is now dismissed, but I love to go back and read passages from it. (I spent a couple of weeks with it and photocopied a great deal). Aesthetically it is a treasure. There was a moment in 1891 when the history of Greek Sculpture went just so. Today it goes differently. Now we prefer to admit a lack of knowledge than to make things up. Our antique galleries are full of broken things in preference to old things mended by modern hands. Times change. We dismiss fictitious histories while acknowledging that all history is more or less fictive. And so, after multifarious digressions, deviations, tangents and sidesteps, including The Rules of the House and the Invasion of the Geckos, as well as honourings of notable days and landmarks, in a stream of lively impromptus, after fifteen days meandering off-subject, we find ourselves back with Polly Nicholls, as we left her on 19 feb, just about to be murdered in this our sixteenth excerpt from Alan Moore's Scripts for FROM HELL, accompanied by a small file reminder of the page of art that was the final product of the effort. At this point the narrative will dally in a side-street of weird poetics when John Merrick, the Elephant Man, is brought back in view on the page following this one. He is just behind the bush you see at bottom right in the grounds of the London Hospital, not the one that owns to the rights to Peter Pan. However, I cannot guarantee to get on with it any time soon. NOW A SEVEN PANEL PAGE THAT HAS THREE PANELS ON EACH OF THE UPPER TIERS AND THEN ONE BIG WIDE PANEL TAKING UP THE BOTTOM TIER. THIS FIRST SMALL PANEL IS JUST A LONGSHOT OF THE COACH MOVING THROUGH THE DARKNESS OF THE WHITECHAPEL ROAD, NETLEY CROUCHED UPON THE BOX. POLLY’S BALLOONS ISSUE THROUGH THE WINDOW OF THE COACH. THE STREET IS DESERTED. POLLY (FROM COACH); Ah, well, I didn’t ‘ear no poems there, that next six year. POLLY (FROM COACH): This April, tried to start afresh. I got a job, in Wandsworth, if you please! PERHAPS NOW WE ARE JUST OUTSIDE THE COACH, IF THAT WORKS VISUALLY, LOOKING THROUGH ONE OF THE SIDE WINDOWS AT POLLY AS SHE GAZES OUT INTO THE NIGHT, HER EYES HEAVY–LIDDED, HER GAZE FIXED ON SOMEPLACE FAR AWAY AND LONG AGO. BEHIND HER WE SEE THE DARK SHAPE OF GULL AS HE SITS BESIDE HER, TURNED TO LOOK AT HER WITH A SORROWING EXPRESSION, EVEN THOUGH SHE IS TURNED AWAY FROM HIM AND LOOKING OUT THE WINDOW AT US. POLLY: Two month that lasted, ‘fore I ‘ad temptation set upon me path, an ‘ad to leave. POLLY: I bin in lodgin’ ‘ouses ever since. WE HAVE NOW CLOSED IN THROUGH THE WINDOW SO THAT WE ARE INSIDE THE CARRIAGE WITH POLLY AND GULL. POLLY SITS IN PROFILE IN THE FOREGROUND, NOT LOOKING AT GULL AS SHE SPEAKS. SHE LIFTS ONE HAND TO HER TEMPLE AS IF SHE’S FEELING DIZZY, AND CLOSES HER EYES. BEYOND HER, GULL IS STILL LOOKING AT HER WITH GENUINE SORROW AND SYMPATHY. PERHAPS HE HAS EVEN PUT DOWN THE BAG OF GRAPES AND REACHED OUT TO GENTLY TAKE POLLY’S FREE HAND, THE ONE SHE ISN’T HOLDING TO HER BROW. POLLY: Mm. I … Sir, I feel so queer. Does everything look sparkly to you? WE CONTINUE TO CLOSE IN, SO THAT NOW WE CAN JUST SEE A LITTLE OF POLLY’S FACE OVER TO ONE SIDE OF THE PICTURE, LOOKING AWAY FROM US TOWARDS GULL, HER EXPRESSION DRUGGED AND FAINTLY BEWILDERED. MOSTLY, WE ARE LOOKING PAST HER TO FOCUS ON GULL AS HE SITS BESIDE HER. HE SMILES BROADLY, AND HIS EYES LIGHT UP WITH AN EVANGELICAL FERVOUR. HE HAS THE SELF-POSSESSED, ALMOST MANIC GLOW OF A MISSIONARY WHO IS ABOUT TO SAVE A SOUL. IN THE FOREGROUND, THOUGH HER EYES SEEM PUZZLED, POLLY LAUGHS UNCERTAINLY, UNEASILY, NOT QUITE SURE WHAT GULL MEANS. GULL: Why, child, that’s just the stars. GULL: This is a rare and special night, I think. For both of us. POLLY: Special? Ha ha. Why, sir, what… whatever do you mean? NOW WE CONTINUE TO CLOSE IN UNTIL WE CAN NO LONGER SEE POLLY AT ALL. WE HAVE CLOSED RIGHT IN ON GULL, SO THAT HIS HEAD AND SHOULDERS PRACTICALLY FILL THE ENTIRE PANEL. HE IS TURNED TO FACE TOWARDS US AND THE OFF PANEL POLLY, AND HIS FACE IS ALMOST LUMINOUS WITH RAPTURE AND JOY. HE SMILES, HIS EYES UNBLINKING AND ALMOST WET WITH TEARS OF HAPPINESS. DR. GULL IS STARK BARKING MAD. GULL: … whence our names shall go forth together into history. REVERSE ANGLE SO THAT NOW WE SEE GULL IN THE FOREGROUND, IN PROFILE, AS IF WE ARE SITTING BESIDE HIM AND LOOKING PAST HIM TOWARDS POLLY AND THE FAR DOOR. GULL IS NO LONGER LOOKING AT POLLY, BUT HAS TURNED TO GAZE INTO THE EMPTY SPACE BEFORE HIM. HE LAUGHS, EYES ALMOST CLOSED WITH MIRTH, AT WHAT POLLY IS SAYING. LOOKING PAST GULL WE SEE POLLY AS SHE SITS BESIDE HIM, TURNED TO FACE TOWARDS HIM. 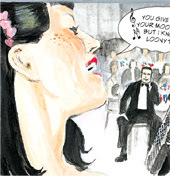 EVEN THROUGH THE CLOUDS OF DRINK AND LAUDANUM SHE STILL HAS ALOOK OF UNCEFRTAINTY AND UNEASE IN HER EYES AS SHE ATTEMPTS, WITH A NERVOUS LAUGH, TO GROUND THEIR CONVERSTION BY MAKING A JOKE OF WHAT GULL HAS SAID. GULL, FOR HIS PART, SEEMS TO FIND THE JOKE WILDLY APPOSITE AND AMUSING. GULL: Ha ha! Why not? A ceremony then… and this time, not a printer’s church! THIS FINAL PANEL IS A BIG WIDE ONE TAKING UP THE BOTTOM TIER. WE ARE NOW INSIDE THE GROUNDS OF THE LONDON HOSPITAL, LOOKING OUT THROUGH THE WROUGHT-IRON RAILINGS ONTO THE WHITECHAPEL ROAD, SO THAT THE RAILINGS ARE ARRANGED IN BARS ACROSS THE FOREGROUND. LOOKING THROUGH THE RAILINGS WE SEE NETLEY’S COACH AS IT PULLS UP ACROSS THE ROAD, WITH NETLEY SHOOTING US A WARY GLANCE AS HE REINS IN HIS HORSES. GULL’S BALLOON ISSUES FROM WITHIN THE COACH, THOUGH NETHER HE NOR POLLY CAN BE SEEN. GULL (OFF, FROM COACH): Netley? Stop opposite the Hospital. GULL (OFF, FROM COACH): We’re here. !!!!!!!!! 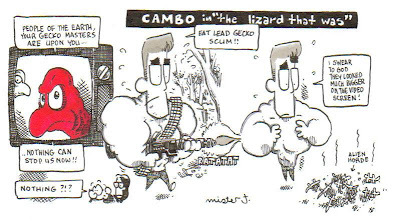 !Normal service will be resumed when you all stop sending me gecko stuff!!!!!!!!!!!!!!!!!!!! It just happens to be his birthday on the day I get an emailed cartoon from my pal mister j. (click to enlarge.) Happy birtheday to ya. J is appearing all over the place of late. Here's one from Hayley Campbell's blog in full colour!. And here's a bunch of them at Pro Wrestling Daily. You may remember me saying that this is what his 'Hayley Campbell Funnies', seen numerous times on this blog and accessible by clicking j's name above, evolved into. There will be a good selection of HC Funnies in the next Deevee, which I mentioned here yesterday, and which you will recall is a comic mag produced by messrs. White, Evans and Best. Which reminds me I've still got one last page to finish for that. hold on a minute, there's the phone. "Wha? King Features? You're kidding. Cambo? No, that's just a one-off by my pal mister j. A series? Don't be daft. His phone number ... yes I'll get it for you... look while you're here, I have this other... wha, you've seen it already? The comic book database is a useful resource. Last time I used it was when I was doing the interview with Lew Sayer Schwartz for my Egomania magazine. I've just discovered (via my pal Spurge) that they've got all the Bacchus covers catalogued, with enlarged view too!!. (Well, almost all. I guess the print numbers on the last five issues were so small that they can't find copies). That'll save me some scanning; next time I need one I'll pinch it from there. I've added this link and some others onto the 'gallery' at the foot of the sidebar. There are a lot of unpublished sketches and stuff in there, for when you're stuck indoors with a case of the flu. I discovered I could make a virtual gallery by linking to my own and other people's uploads. Well, they're all my own pictures, so why not? John Coulthart is looking at the German magazine Simplicissimus and telling you where you can download the whole lot of it. Artist Mark Badger left a comment under Sunday feb 25th's post in reponse to regular commenter Hemlockman. I'm sure you'd miss these things if I wasn't directing the traffic. We need one of those butler guys to announce famous people when they walk into the ballroom. My pal Brad Weber caught sight of this at www.darkhorizons.com. "It's only a rumor, but the timing was weird enough that I thought to pass it along." "Former Starfleet Captain turned Internet schill William Shatner is expected back behind the microphone to lend his voice to Sony Picture's CGI remake of the 1960 scifi cult-favorite, Angry Red Gecko. 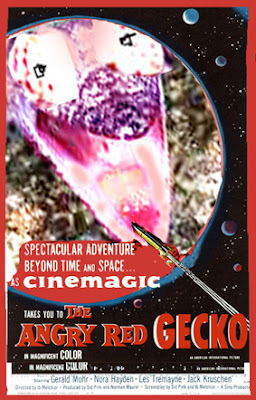 Slated for 2009, the film recounts Man's first trip to Mars and the disastrous encounters with the planet's reptilian overlords. Originally reading for the hero, Commander Tom Nolan, studio execs OK'd Shatner a shot at voicing the vicious Martian Lizard King, Emperor Scincida. No word on which role, if any, Shatner earned." "I've attached the movie poster from the 1960's film." I see you've also made some telling alterations in the poster image to bring it up to date with the fact that we now know what the evil gecko emperor actually looks like. What's coming out: The Train was Bang on Time, a 32 page promo of The Black Diamond Detective Agency coming out first saturday in May for Free Comic Book Day. 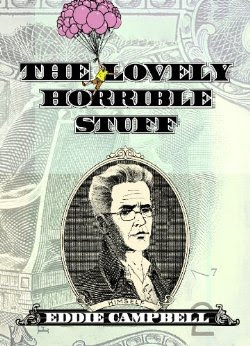 The book itself will be out a few weeks later in June. 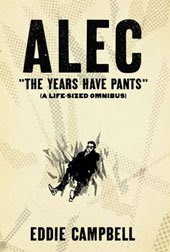 I'm busy scanning the next volume of Alec, that being Three Piece Suit though it will have a different title, which presently escapes my memory, for Ca et La in France, to come out later in the year. 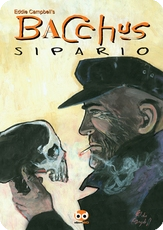 And I've sent the next volume of Bacchus to Italy, also to appear before the end of the year. Watch for more info via the links in the sidebar. I also have a dozen pages in this year's offering from DeeVee, I think out in June. 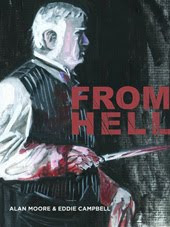 Where I'll be: San Diego Comic Con in July at the Topshelf booth, Melbourne Writers' festival around end Aug/ begin Sept, days still to be arranged. 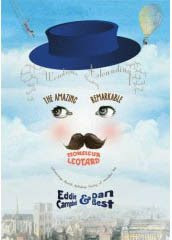 What I'm working on and where I'm up to: The Amazing Remarkable Mr Leotard. I'm working on page 60, which makes me exactly halfway through the project. 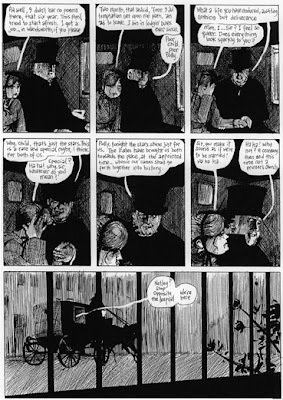 "WHEN Matt Coyle made the lonely decision in the early 1990s to abandon his degree and become a graphic novelist, he was already a rare bird: the only artist based in the staid sandstone environs of St Paul's College at the University of Sydney, a traditional haunt of future lawyers, bankers and politicians." And apparently the BBC is doing some kind of deal with YOUTUBE. This could only possibly be of interest to my pal Evans, who can never get enough Dr Who.